This past weekend we met up with some great friends from Charlotte, Ferdinand and Isabella, as they were in Madrid for his work. Gabe and I (as well as Andreas who was visiting us) had never been to Spain before so we were pumped about meeting them in Madrid. A bonus was that Isabella had spent 3 summers in Spain, so she had a lot of insights into what would be the best to do in a long weekend, as well as she spoke fluently in Spanish. An amazing combo and I was lucky enough to travel in a few hours early to get some girl-time before the guys arrived. -It’s a beautiful city. 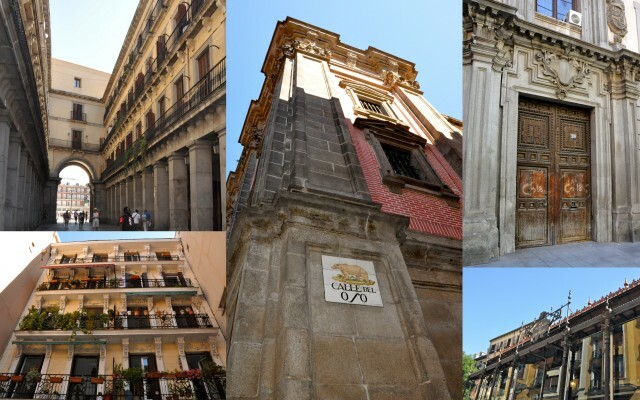 We stayed near the old part of town so benefited from being surrounded by gorgeous fountains, perfectly landscaped gardens, pastel stucco buildings in classic Spanish style, and an elegant light that flooded the streets in the early evenings. -It’s hot. Really hot. Gabe and I commented it was similar to our time in Greece when the sun was just relentless and scorching. We feel that it is just a different sun in this Mediterranean region than we are used to. -Everyone siestas. This is really three-fold. One, the nightlife is vibrant. Dinners don’t get started until 10 or so. On a light night, you get in at 12:30 or 1pm. On a average night, its 4 or 4:30am. Thus, naps are needed to recover from the night before and to prepare for the night coming. Two, you eat amazingly, delicious Spanish food for lunch. You typically eat a lot and after a morning walking, your body gets full and tired and craves a bed. Three, the sun, mentioned above. It’s almost uncomfortable in summer mid-afternoon. It’s really best to be under a shade tree or taking a siesta. -World class museums. We visited Prado and Reina Sofia. This entry was posted in Travel: Europe, Visits & Trips with Visitors. Bookmark the permalink. 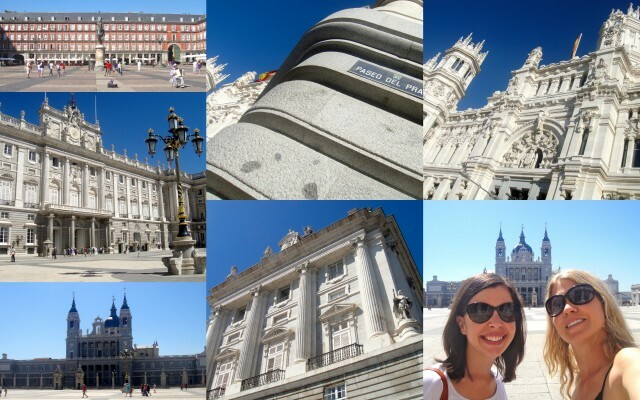 Madrid now is one of my top cities. A great place to get lost in, find wonderful tapas bars and have a cervesa or sangria!